Hi everyone! 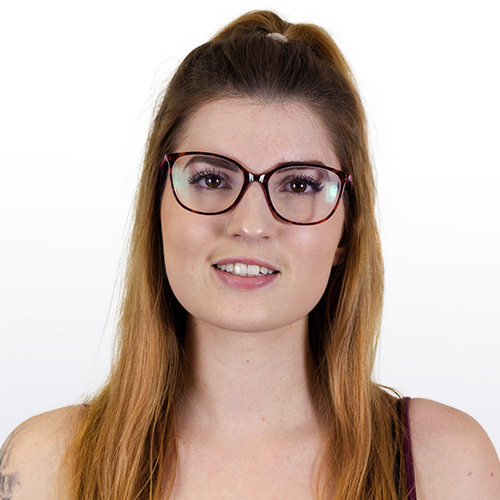 Harriet here to present to you today's coverage round up and we have a doozy today. 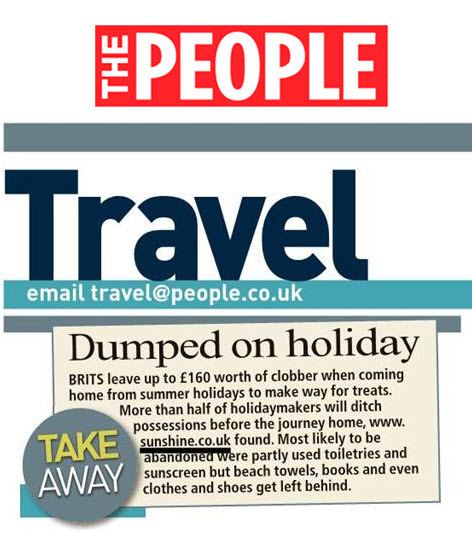 Today's coverage is from our super awesome client, Sunshine.co.uk who received three pieces of amazing coverage after they conducted a study which revealed that the average holiday maker will leave £160 worth of belongings at their hotel...on purpose! 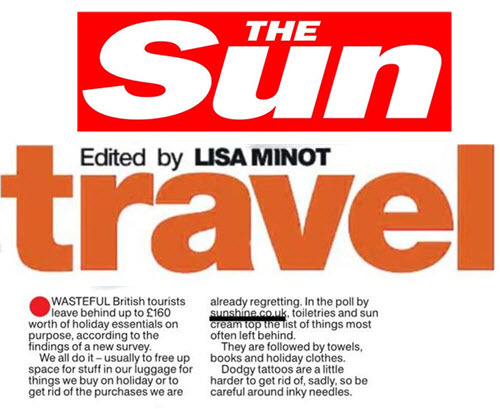 Furthermore it revealed which belongings were the most likely to be left behind, including towels, clothes and books. Below you can see the coverage as it appeared on AOL, The Sun and The People.